Week 4 Last activity: So I had to answer these questions that was set for me. So I will like to thank everyone who helped create the summer Learning journey. I will also like to thank Georgia for coming to my school and for everything that she did. Congratulations! Well done on completing all of the activities ! It is a great achievement and it's great that you have improved compared to last year. Did you enjoy it? I think the environment was a great topic to have this year, I know I have learnt many things including how I can help look after our environment and how to reduce my impact on our country and on our world. It might take us at the Summer Learning Journey a wee while to have a good look and to comment on all of your posts. Remember you can earn points for posting quality comments on other students work or by replying to us! If anyone from the Summer Learning Journey has commented on one of your posts saying you should add something to your post or asked about more information, you can comment on that post with the extra information. That way you will earn full points for all of your posts! Congratulations again! I look forward to reading all of your posts soon! What an incredible achievement it is to finish the Summer Learning Journey! Ka pai. I hope you're very proud of yourself. Which activity was your favourite? Just reiterating what Dani said above about our comments and ensuring all of the posts you have done are of great quality. We really would love to give you full points for all of your activities! We'd also love to see you stay engaged with the programme and learning for the remainder of your holiday. One way you could do this is by commenting on other blog posts, which I have seen you doing already. In order to gain 2 points per comment, the comment must be at least, three sentences with a specific detail about the student's blog post. Again, well done on finishing the programme Kohl-Lee! My name is Rachel and I am working with Georgia and Dani on the Summer Learning Journey blogging programme. Congratulations on making your way through the entire programme this year. That is a huge accomplishment! It is great to see that you were motivated to get all the way through it and to post your activities each day. It's so important to keep our learning going over the summer break, isn't it? Hopefully, you will be able to continue with your learning by posting positive, thoughtful and helpful comments on the blog sites of other students. It is a great way to learn more about the environment and to support others to do what you have done and finish the programme. 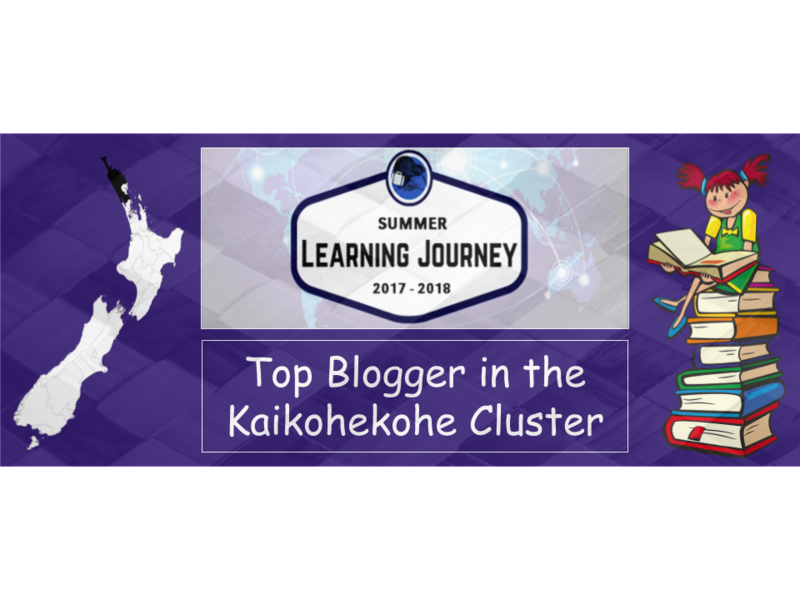 You can find a link to the blogs of other active students here: https://sites.google.com/a/manaiakalani.org/connected-learners-share/sljtwitterfeeds. Feel free to comment on any of the blogs from any of the students. We have about 600 people blogging with us so there are lots of blogs that could use great comments! Hope to see you online again soon, Kohl-Lee! There’s so many activities that I loved, but my favourite would have to be ‘Campaigning for Conservation’ because you gave us an incredible and very clever slogan! Your slogan was ‘Endangered animals need your help, what will you do?’! Do you remember this? Well I hope you have such a awesome year with so many great opportunities! We are looking forward to having you back next summer, are you looking forward to it? !